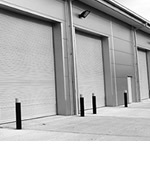 For home and business owners up and down the UK, security and protection of one’s belongings is of paramount importance. Although crime is largely decreasing overall, this is mainly due to improvements in security measures, and if your building is unprotected you are going to be at serious risk of becoming a victim of crime. 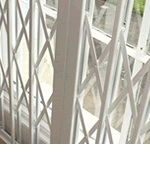 At RSG Security we can draw on over twenty years of manufacturing experience to deliver high quality and durable security grilles for domestic and commercial properties all over the country. 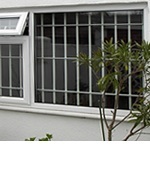 More and more break-ins are occurring via the window, so it is essential that your windows are well protected. Window break-ins are increasing year-on-year, but as the majority of crime is committed by opportunistic criminals, implementing window grilles will pose as a major deterrent. One of the major reasons homeowners in particular are put off by window grilles, is the concern that their property’s aesthetic will be ruined, making it look more like a prison than a house. 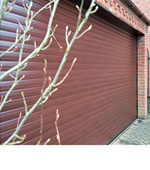 However our RSG1000 grilles are slim and without side tracks, ensuring they do not spoil the look of your home, and they can easily be stacked away out of sight whenever you want. 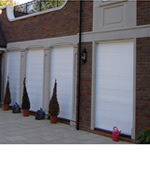 The most popular point of entry for burglars, adequate door security is an absolute must for every home. 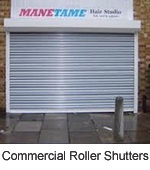 Just like with window grilles, the biggest security benefit of door grilles is the deterrent they offer. Choose between the RSG1000 collapsible grille and the RSG800 fixed mesh grille for an unbeatable door security solution. 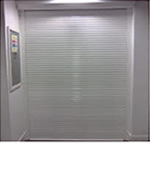 If you’d like to receive a quote or to simply find out more about our RSG Security Grilles – or any of the other products we can supply – get in touch with our experienced and friendly team on 0208 123 1088, alternatively you can complete our online contact form and we’ll get back to you.